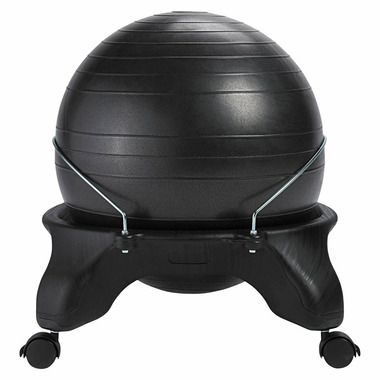 The Backless Balance Ball® Chair will engage your core, relieve pain, and help you breathe better without the temptation of resting your back and losing your posture. Small micro-movements caused from balancing on the ball will stimulate blood flow, keeping your core and back constantly engaged. Chair includes a removable 52cm balance ball, air pump, base with two secure ball holders, and lockable caster wheels for easy movability. 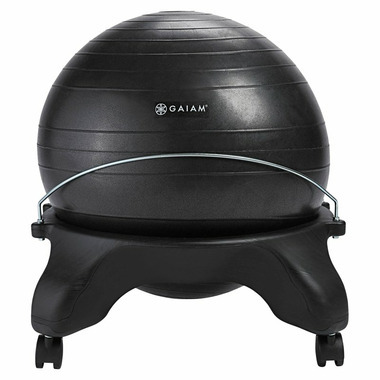 INCLUDES: Backless Chair with 52cm Charcoal Ball. Pump. Exercise Guide. Set of 4 Balance Ball® Chair Leg Extenders.